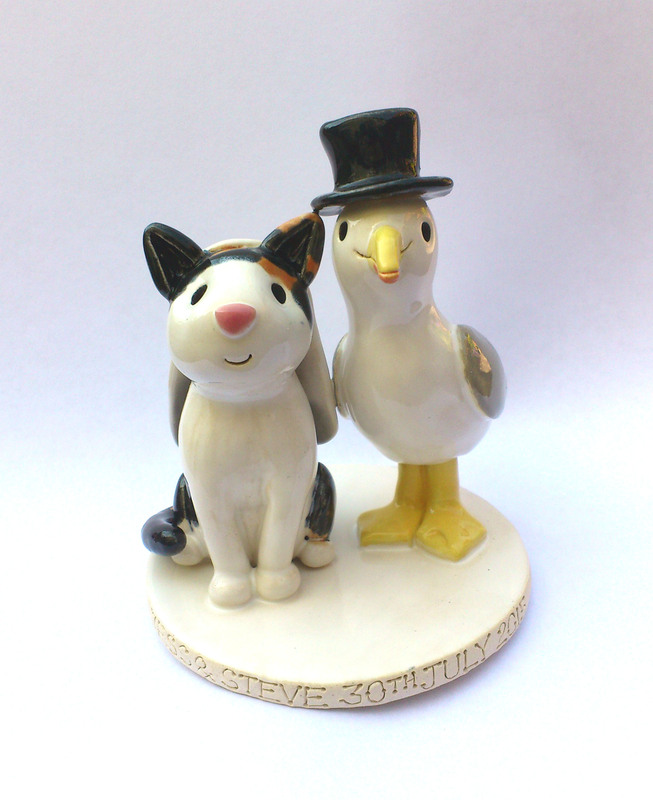 Here is a selection of some of our previous pet topper commissions. 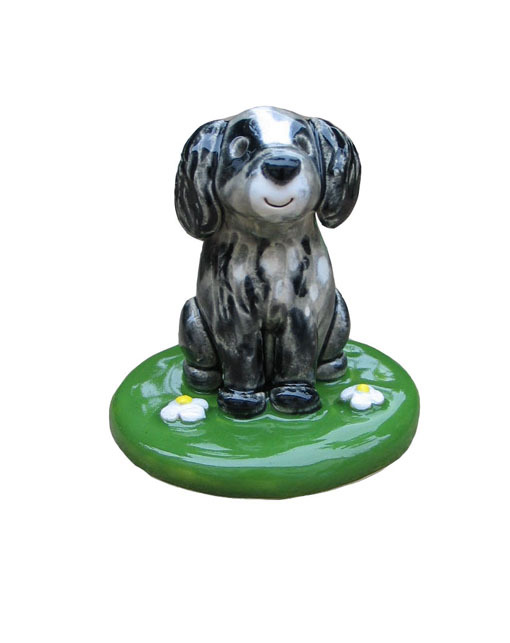 For prices and ordering info please scroll down, to order a topper to match your pet please fill in the online booking form below. To order an animal portrait topper to match your pet please fill in the online booking form below, and you will be sent an order form, or if you have any questions please feel free to contact us. 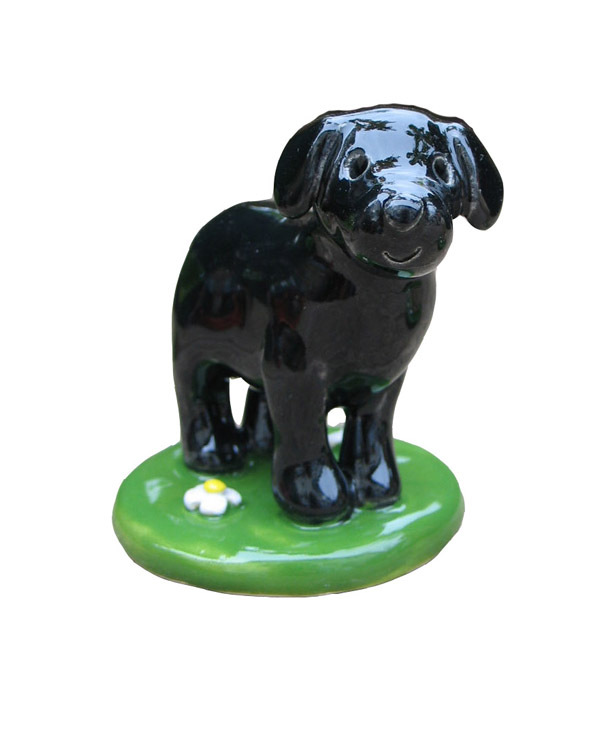 The pet toppers can be used as part of a celebration to be next to or on a cake, also as an ornament as a gift, or as a special pet memorial. 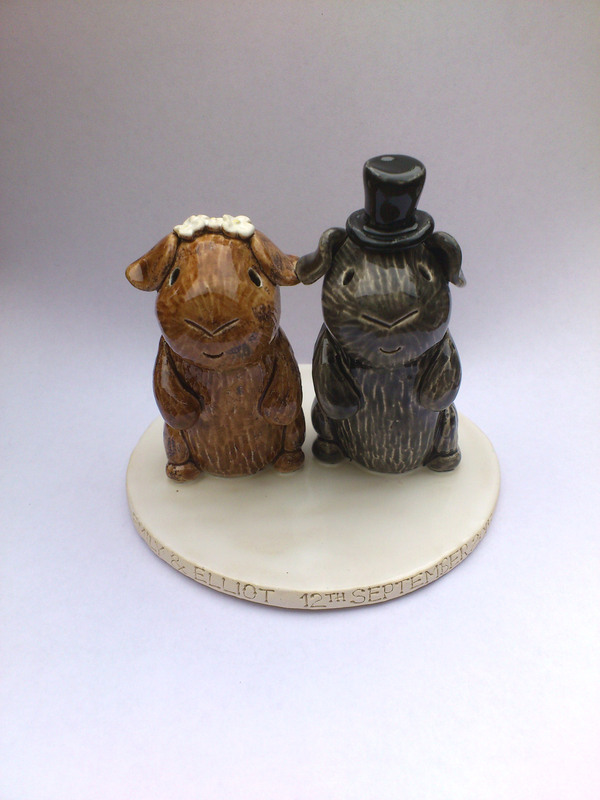 Hand crafted toppers from Atop of the tier, made from kiln fired earthenware clay, which is 100% food safe. We do not supply toppers made from polymer clay or fimo, only genuine ceramics, which will last forever. 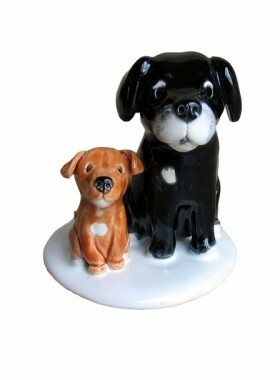 Pet toppers are larger than the animals added to the ‘people toppers’. 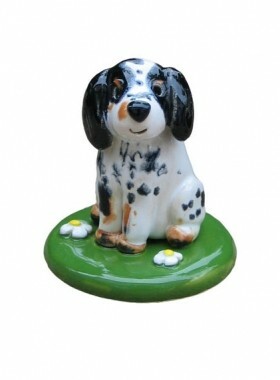 For an example of size the individual dog toppers base measure 7cm across. Also available is the mini pet Christmas decorations with a small hook for hanging. After we receive your online booking, you will be sent a full order form in the post or by email to collect all the information needed to make your pet portrait. 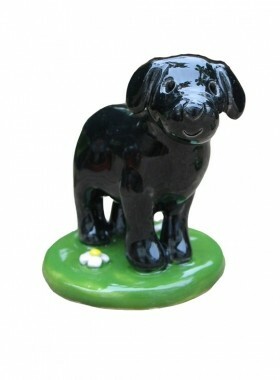 A £10.00 non refundable deposit is required by PayPal upon submitting your order. How would you like to receive your order form? E-mailPost What animals do you require and how many? Tick this box to confirm that you understand and accept our terms and conditions and understand that a £10.00 non refundable deposit is required today via PayPal. 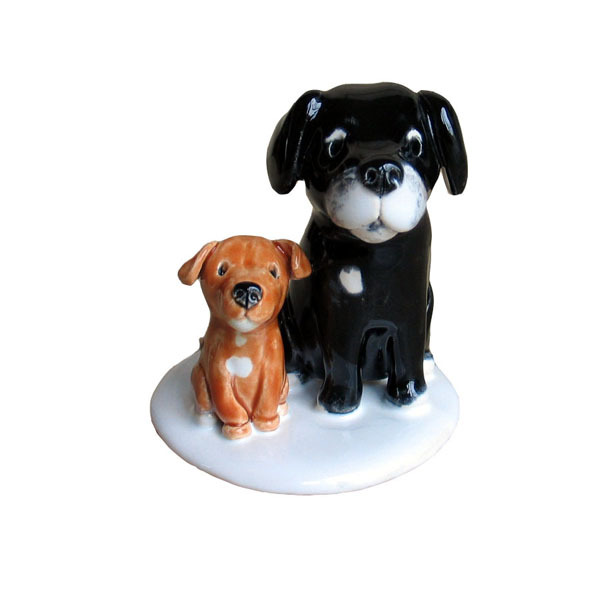 Pet toppers are a basic likeness to the subjects and not an exact reproduction. Booking spaces are limited, we cannot return payments once your full order form has been received. Photos of finished pet portraits may be used as examples. All sales are final and we do not issue refunds, credits or exchanges. We only accept orders for events within the next 18 months, by booking you will avoid any price increases. Cheque, paypal, BACS and also credit card payments accepted. We do not supply standard designs, all orders are bespoke. 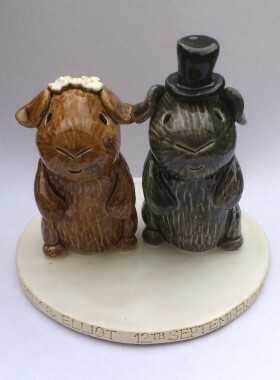 There is only ceramic cake toppers available; we do not make or supply cakes. Delivery is around two weeks before the wedding/event date, on a day agreed with the you. Toppers are insured during transit, it is very rare that breakages occur, but if there is any damage it must be reported immediately, claims can only be made to Fedex within 24 hours of delivery. 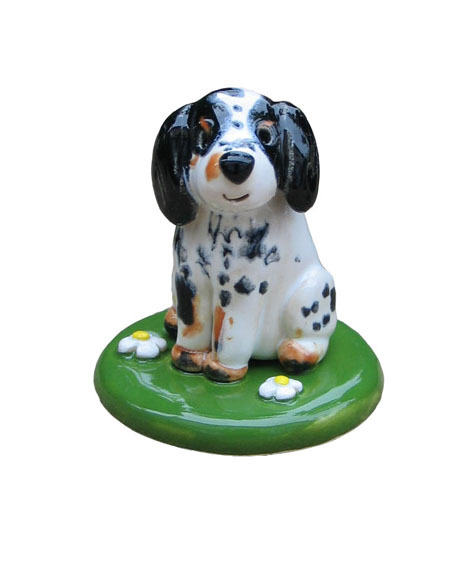 Finally your topper will be made to match your pet. As a result, no two toppers will ever be the same. There is a £10.00 deposit payable on submitting this form. 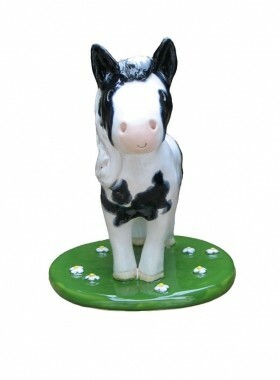 This secures your order and is later taken from the total price of your cake topper. All orders are subject to a delivery charge of £12.50. We use a courier service which includes insurance for your topper during transit. 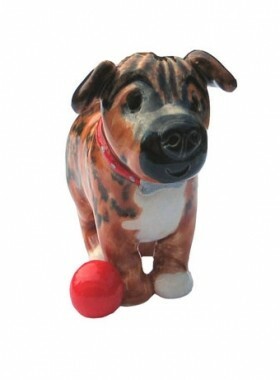 The small decoration size pets can be sent via royal mail for a £5 charge. Toppers are packaged extremely well. We no longer ship overseas. The £10.00 deposit should be paid by PayPal on submission of this order form. PayPal accept most major credit and debit cards, and you do not need to be a member of PayPal to pay via PayPal. 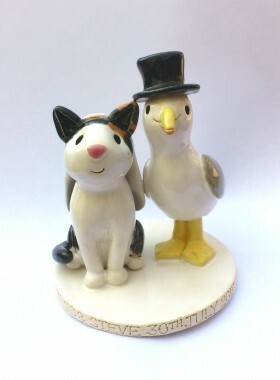 The full price of your cake topper and the postage, less the deposit, can be paid by PayPal, Credit or Debit card, or by cheque. If for any reason you are unable to pay the deposit via PayPal, please contact us before placing your order.